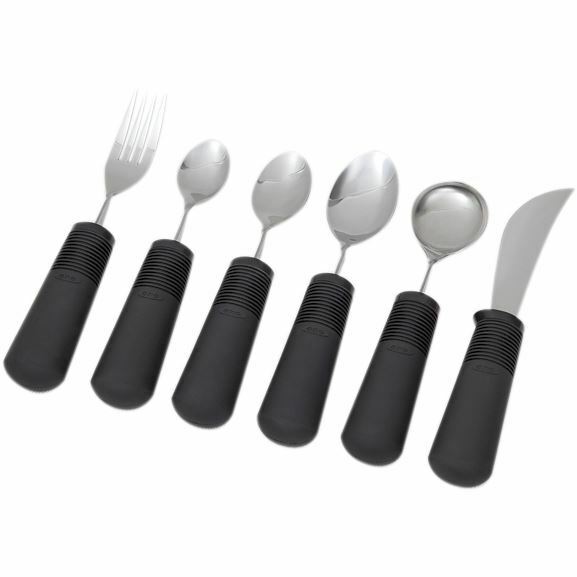 Good Grips stainless steel utensils feature a 3.5cm built-up handle. 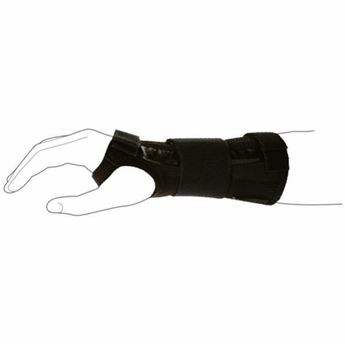 The soft, latex-free material has flexible ribbing that adapts to any grip. 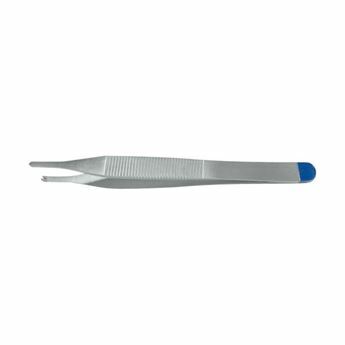 Good Grips forks and spoons have a special twist built into the metal shaft that allows them to be bent to any angle, for either left- or right-handed use. 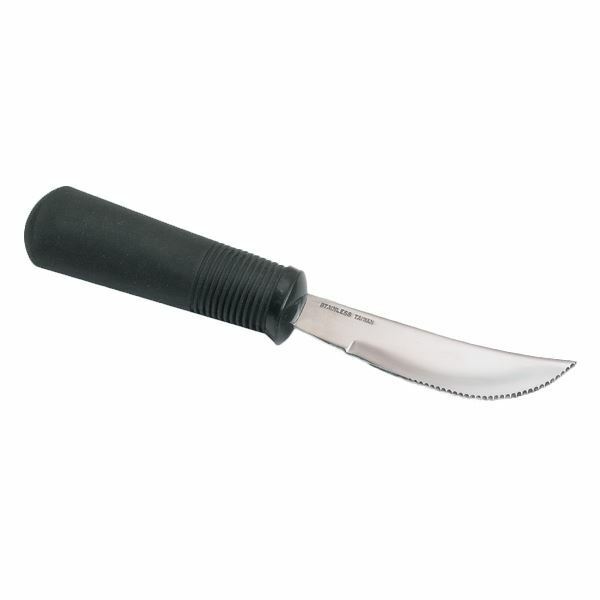 The special edge of the serrated Good Grips Rocker Knife provides added stability while cutting, including meat. The Good Grips Souper Spoon™ with raised lip is specially designed to keep liquids and food on the spoon while moving from the plate to the mouth.